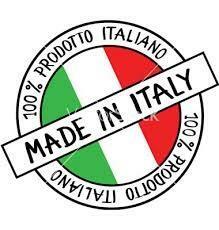 Did you know that the Made in Italy is the world's third most desired brand after Visa and Coca Cola? THE 'ITALIAN SOUNDING' SYNDROME - Counterfeiting the Made ​in Italy image. Protecting and developing these products requires raising awareness about the historical, cultural and social heritage of our country. Protecting our products is essential to remain competitive in the global marketplace; it requires products with unique features and very high quality. I magine if some company back in the old country would have started making and selling Mac Donaldo amburghi....we would have a repeat of the "October Crisis" (1962 Cuban Missile Crises) in our hands, with the White House ready to take over Rome and raise the Golden Mac Donald Arches Flag on the Colosseum. Or, imagine that another Italian food company registered the words "Pure Quebec Maple Syrup" as a trade mark, produced some maple-flavoured liquid in Milan and sold it as Pure Quebec Maple Syrup (TM). Next, imagine that Canadian producers wouldn't be allowed to call their product maple syrup because a sneaky Italian company already owned the name. Exactly that happened in Canada. 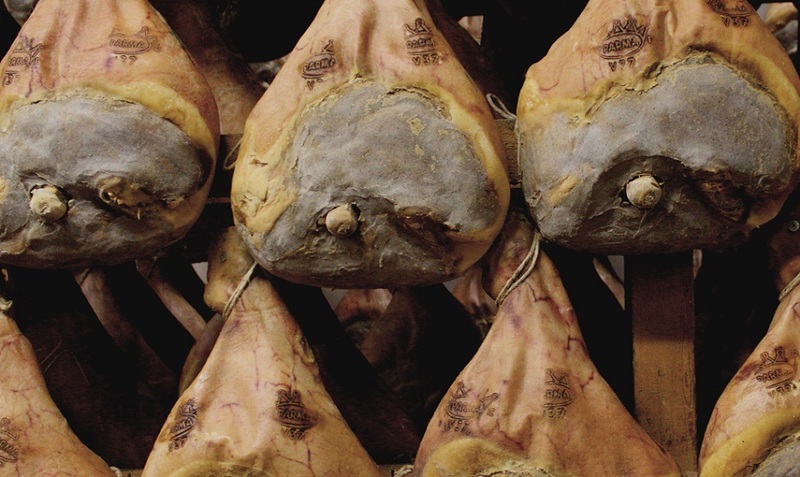 Maple Leaf Foods registers "Prosciutto di Parma" as a trade mark, produces some salted-dried pork and sells it under the Italian name. Next? Maple Leaf specializes at selling anything and everything, and you know well how the old saying goes ...Jack of all trades, master of none. 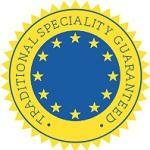 PDO Protected Designation of Origin, (the most stringent of the yellow labels) is a mark of quality that is attributed to those foods whose typical characteristics depend mainly or exclusively from the territory in which they are produced. The geographical environment includes natural factors such as climate and human factors such as production techniques handed down over time. 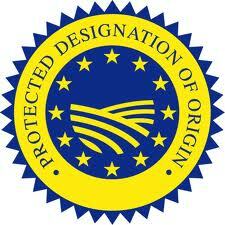 PGI - Protected Geographical Indication. Some products are also associated strongly to a geographic area, but not all the ingredients may come from that region. 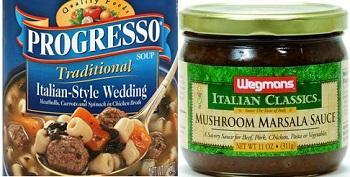 These products may carry the less stringent (than the PDO) label of PGI. The products carrying the PGI label must have at least one of its steps take place in the geographic region whose name it bears. guaranteed, better known by its acronym, STG, is a mark of origin introduced by the European Community’s approach to protect products or compositions that are characterized by traditional production methods. 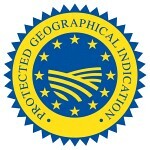 This certification is governed by EC Regulation 2082/92, unlike other brands such as Protected Designation of Origin (PDO) and Protected Geographical Indication (PGI) is for agricultural products and foodstuffs that have a “specific” related to the production method or composition of an area tradition-bound, but not necessarily to be produced only in that area. 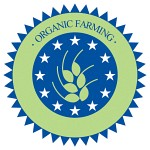 The terms “organic” or its abbreviations “Bio” or “Eco”, also associated with the product name may be used only if at least 95% of the weight is made by ingredients of biological origin . 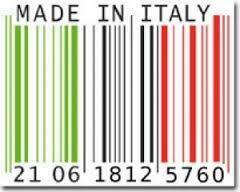 According to Coldiretti (Italian agriculture organizzation) food counterfeiting is costing Italy € 1.1 billion per year, over 60 billion if we consider the phenomenon of Italian sounding products being sold as Made in Italy. Fr om the famous "San Marzano tomatoes" grown in California and the "Provolone" from Wisconsin, to the "Mascarpone and rucola sauce" produced in Sweden, the list goes on, from the USA made "Genovese pesto" to the "Parma salami" made in Mexico, Sicilian mortadella from Brasil, "Salami and Giardiniera Calabrese from Canada, all watered down with "White Barbera" wine from Romania. The food fraud - Coldiretti continues - is a particularly heinous crime because it is based on deception especially against those who, due to the reduced spending power, are forced to save on purchases of food. The names Parmigiano Reggiano and Grana Padano are the most copied in the world, with Parmesan name used in all continents, from the U.S. to Canada, from Australia to Japan, but there is also the Parmesao for sale in Brazil, Regianito in Argentina, cheese and Parmesao throughout South America, but also in Belgium or Pamesello Parmezan in Romania. Not to mention the Romano, Asiago and Gorgonzola produced in the United States where you can also buy Chianti California and imitations of Calabrese salami, and just over the border in Canada you can also buy mortadella "San Daniele". The common denominator for the imitation and counterfeiting of Italian food products is the opportunity for a company to target market with the unfair competitive advantage of associating their products to the image of Made in Italy, much appreciated by foreign consumers, with no connection to the Italian production system and making it unfair and damaging for Italian producers committed to ensuring high standards of quality. 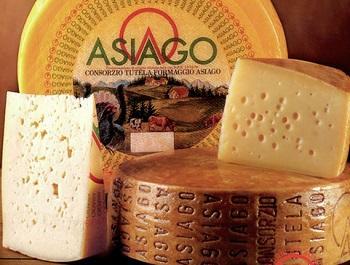 They are also harming Italy's image, especially in relation to the culinary excellence of our regions. According to trade associations, the damage caused by such imitation, also to Italy's turnover, amounts to EUR six million per hour. In the United States and Canada in particular, sales of fake Italian products have overtaken real ones by almost 10 to 1. These countries prefer to protect registered trademarks rather than geographical indications and designations of origin. This leads to absurd situations such as ‘fake’ Canadian Parma ham. 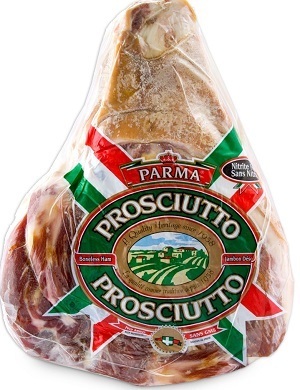 A Canadian company has registered the trademark ‘Parma’, so that real Italian Parma ham is sold in Canada under another name —‘Original ham’ — while the fake Italian product (i.e. 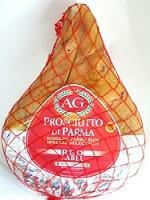 the Canadian ham) is sold under the name ‘Parma ham’. They think its funny ...well...it is not, and it is time to start making some fuss about it. Do you really need to ridicule someone's ethnicity to tell the world how good your f***ing bread is? Not only some companies are imitating popular Italian brand names, they also resort to disreputable commercials in order to be noticed. 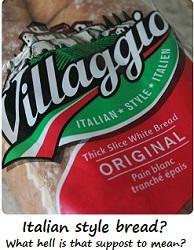 "One of those companies" that is making some Ital-Canadians (me being one of them) furious and annoyed at the same time, is a silly commercial by Dempster Bread, who uses the Italian "good looking stereotype guy" (most likely the actor cant even spell 'Pizza') to promote its Villaggio bread (another offensive commercial depicts a short male individual, pushing a venetian Gondola, entertaining customers in a food store with its 'funny' fake Italian accent). It might be 'hilarious" to some but as an Italian myself I find this commercials insensitive, ignorant and tasteless. The fact that it was approved to be aired should, by itself, raise a very simple question about the quality of the bread ...if the taste of those careless individuals who approved the commercial reflects the taste and care invested in making the bread, then the message the commercial is sending out is loud and clear. Tasteless commercial = Tasteless bread. 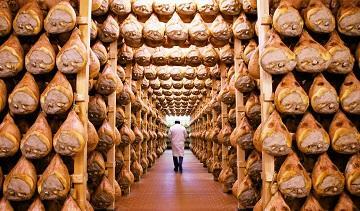 which, not by coincidence, is also the 'maker' of the prosciutto sold as Parma ham. Below are reprints from anonymous readers. ... You could call it snobbery if you like. But what first strikes us as bizarre is really just the weight of history and the total integration of food into culture. 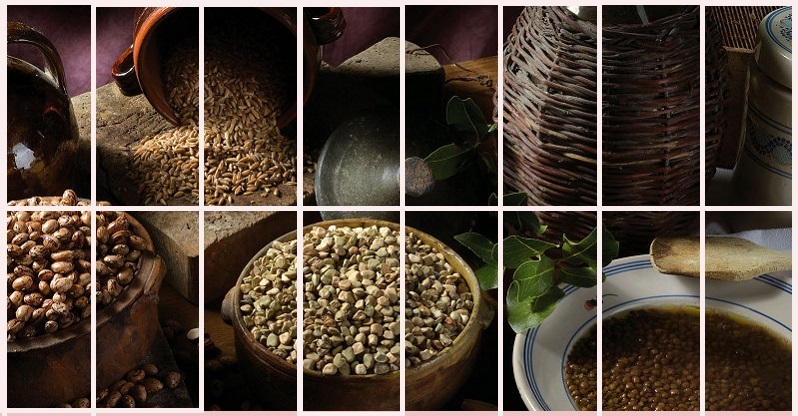 Until quite recently, people ate things that came from their local region, and prepared them in ways that had been adapted over very long periods of time to the local climate, vegetation, etc. The relationship with food was more like the relationship with family or language or one's own origins. Food is not necessarily perceived as an interchangeable consumer good with objectively quantifiable 'quality', even if rationalized large-scale production has in large part made it so. Many people in Europe are stuck between two irreconcilable worlds: a symbolic one which idealizes traditional, local culture, and a globalized, industrialized economic reality that is beyond everyday comprehension. So I can understand that there are a lot of people who care a lot about what they eat, who judge the fitness of a product by its region of production and the use of traditional methods. But I also see quite well that this mentality is being exploited by marketing strategies. 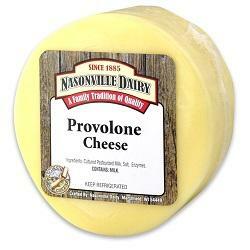 The production and distribution of foods here seems to mostly be a massive, impersonal industry. What counts for those who are selling these products is the 'aura' of authenticity. I can easily go to the supermarket and buy a mediocre or even bad cheese that qualifies for a 'quality' label, but I can also go to a market and buy really good cheese made by some local farmer who does not qualify for the label. I recently shared some good Oregon wine with some friends here, who never denied that it was good stuff... the consensus was in fact that it was 'too good', probably the result of having rationally studied the production process and 'perfected' it. In general, people aren't after the most perfect taste etc. but something they can identify and place in the classification system they grew up with. Whether they are conscious of this is another question. ...I mostly know about Italian products, since that's where I live and cook. Italians are very picky indeed about their food, and snobbery really doesn't come into it here. 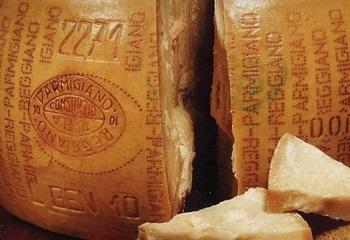 Parmigiano Reggiano is one great example. The milk comes from cows that have eaten exclusively the natural growth of that area. 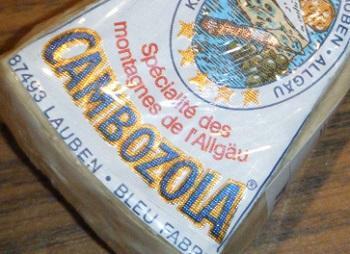 It tastes different from similar cheeses made elsewhere. It is checked and rechecked consistently for quality until it is sold at whatever age you are buying, there being a minimum but no maximum-- although paying for something more than 5 years would be burdensome. Parmigiano Reggiano is a grana and there are others. Italians know what to expect from the others, depending on where it is made. There is even a superb grana bufala, made from buffalo milk. Can you use a different grana in a recipe calling for parmesan? Of course you can! Can you buy a bad grana? I suppose so, but all I have used have been at least tasty, versus most of the fake parmesan made elsewhere using milk from tanker trucks of no specific origin in other countries. When I buy prosciutto, I say which one I want. They ARE different. The pigs eat different things, the curing varies, the age varies. When I buy olive oil I pick the one right for what I am cooking. It is not snobbery. Food is expensive here and people have reason for wanting to know exactly what they are buying. All tastes are accounted for. We have lots of choices and we have attitude. If the EU tries to mess with important things, there's an uprising. They tried to pass a law requiring pasteurizing of all cheese milks and they could not, because no one wants to live in that world. 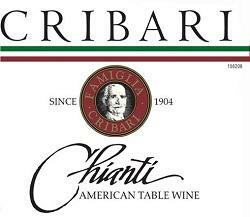 Would you like to pay Barolo prices for a fake made in Chianti? Me either. I am pleased that Europe is keeping food supply from going down the generic road. 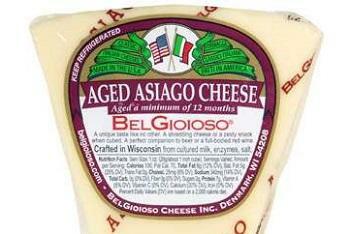 That's available, too, but we can still rely on the origin labels and it is a good thing. Related article by George Pandi :Parma's Prides. The tradition of Parma Ham is safeguarded by the Consorzio and reflected in the coveted Protected Designation of Origin status, the E.U.’s guarantee of quality and authenticity for those traditional products that are from a specific geographical region. Indeed Parma Ham can only be produced in the hills near Parma and all authorized producers must be located inside this area. To cure a leg of pork with pure sea salt in order to keep the meat as sweet-tasting and as supple as possible. The hams are made from the rear haunches of the pig; The curing is controlled carefully so that the ham absorbs only enough salt to preserve it. By the end, a trimmed ham will have lost more than a quarter of its weight through moisture loss, helping to concentrate the flavor. The meat becomes tender and the distinctive aroma and flavor of Parma Ham emerge. University of Reggio di Calabria. 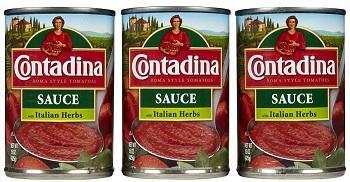 Possibilities and purposes of Internetusage: authentic and fake Italian foodproducts. Raccolta immagini sul fenomeno dell Italia Sounding negli Stati Uniti a cura dell' IPRDESK - New York . 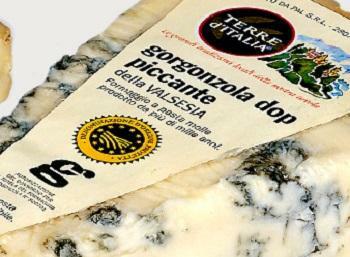 Learn more about regional products from Southern Italy .